For over 400 years, fishermen and farmers along the rugged, Nova Scotia coast have fed their pets hand-harvested kelp from the icy Nothern sea waters. 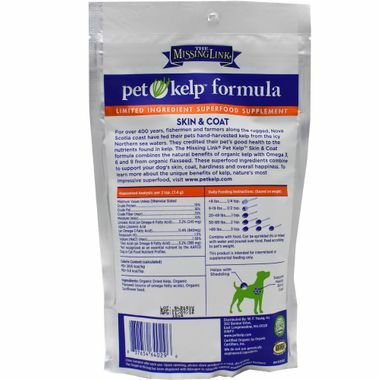 They credited their pet's good health to the nutrients found in kelp. 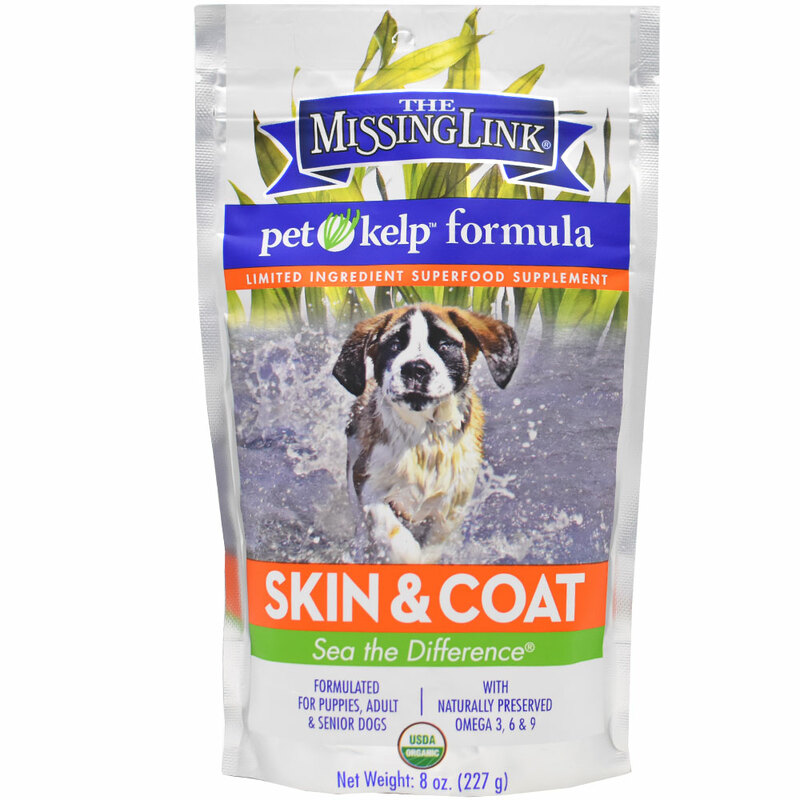 The Missing Link Pet Kelp Skin & Coat formula combines the natural benefits of organic kelp with Omega 3, 6 & 9 from organic flaxseed. These superfood ingredients combine to support your dog's skin, coat, hardiness and overall happiness. Fomulated for Puppies, Adult & Senior Dogs. With Naturally Preserved Omega 3, 6 & 9. 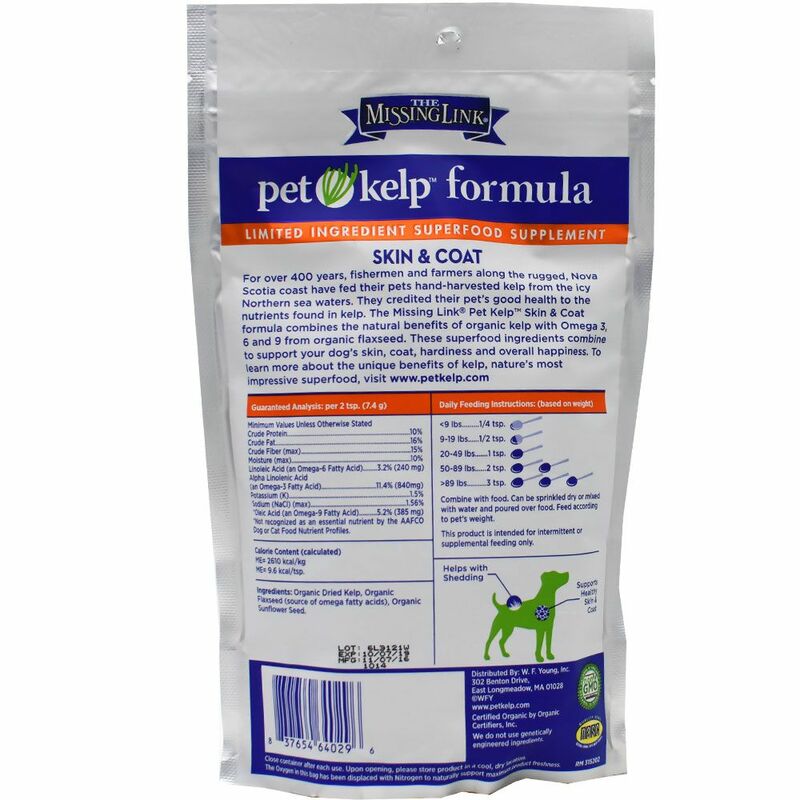 Supports Healthy Skin & Coat.